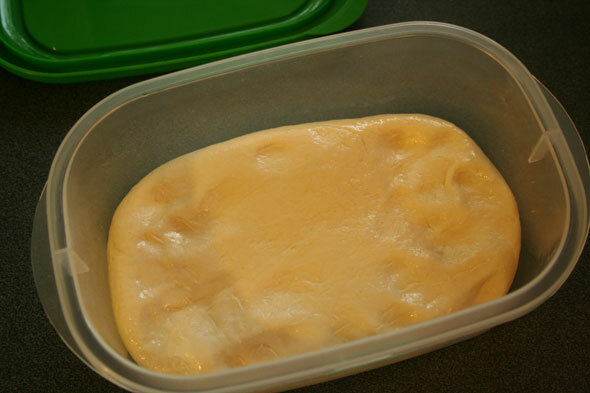 Pâte Fermentée is one of the basic pre-ferments used in bread making and it refers to a dough that is made before the bulk of the main bread dough is put together and allowed to mature or ferment. 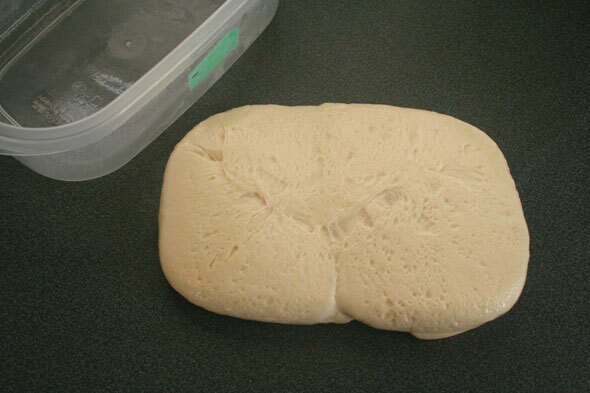 By allowing a portion of the dough to ferment ahead of time, it can be allowed to do so overnight (or however long) in a cool space (slowing yeast activity) where it develops a lot of great flavour that would not be available in a shorter rest time. The dough is then added to the rest of the bread’s ingredients and presto, your “new” dough gets a tremendous flavour boost. 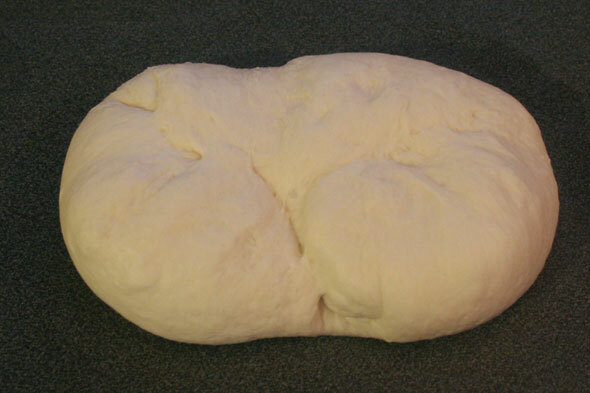 In a bakery setting, a large amount of this dough would be made regularly and a small portion of it would go into, say, baguettes, another portion into kaisers, etc. This is why the pâte is very basic – it would be used throughout the day to make whatever bread was on the menu. 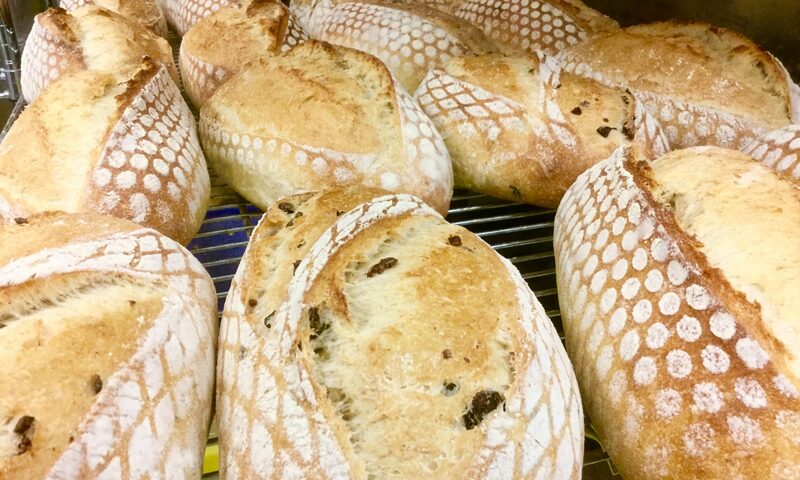 At home, you still want the fermentation/development that occurs but would normally just make enough for your next bake. In The Bread Baker’s Apprentice, this shortcut is used a fair bit. It’s a very simple, lean dough. Here we have 141 g (5 oz) unbleached bread flour, 141 g (5 oz) unbleached all-purpose flour, 5 g (3/4 teaspoon) salt, 1/2 teaspoon instant yeast and 170-200 g (6 – 7 oz) room temp water. This will give us 457g (16 oz) of finished Pâte Fermentée. 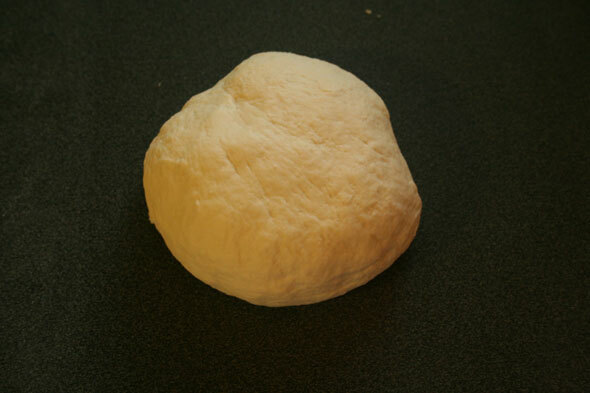 Turn out the dough ball onto a lightly floured surface and knead for about 4 to 6 minutes until soft and pliable, tacky but not sticky. 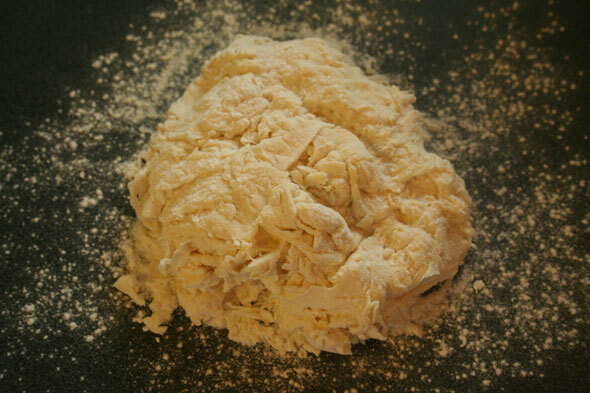 Alternatively you can mix and knead the dough in a stand mixer, kneading for about 4 minutes with the dough hook. Oil a bowl, pop the dough in and flip over to oil both sides, then cover. Mark the volume. Put bowl in a warm spot and allow to rise for about 1 hour until 1 & 1/2 it’s original volume. 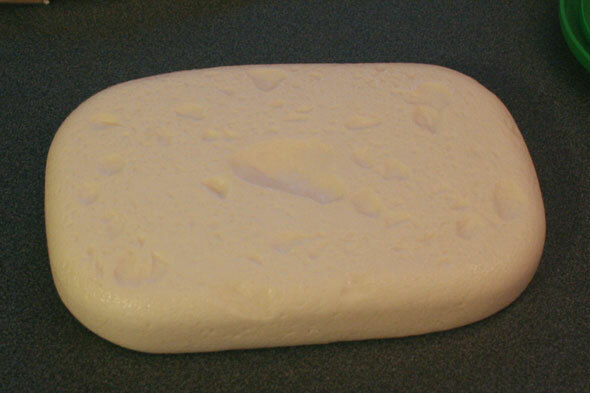 Here I’ve heated up a cup of water in the microwave and once boiling, placed the dough in. 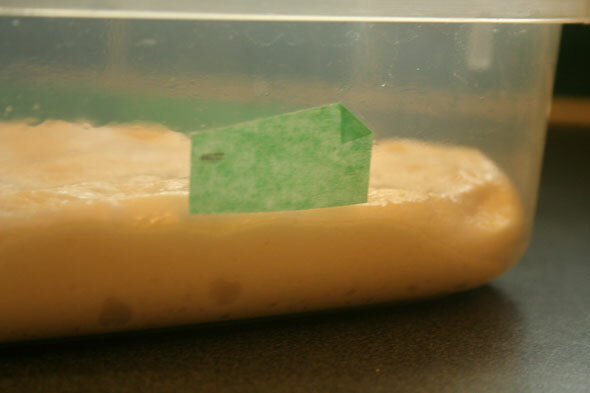 The dough is NOT being microwaved, we’s simply using the small, heat-retentive aspect of the oven as a proofing box. 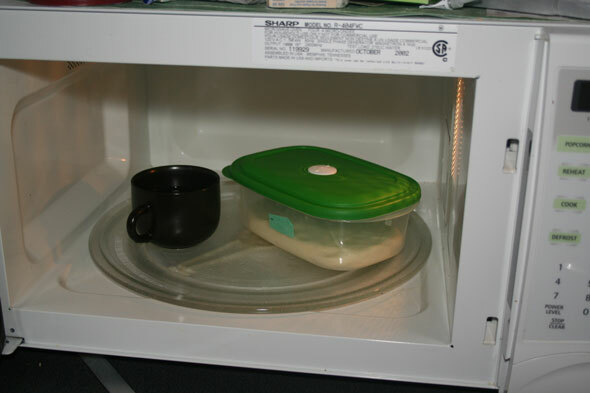 The closed microwave, with a cup of water acting much like a hot water bottle, will keep the environment at a nice warm temperature. If there’s ANY chance someone might turn the oven on while it’s rising, be sure to stick a note to the door, preferably over the keys. It took about an hour and a half to get the volume right. Again, we go by the DOUGH, not by the clock. Turn the oiled dough out onto the counter and knead very briefly to degas. 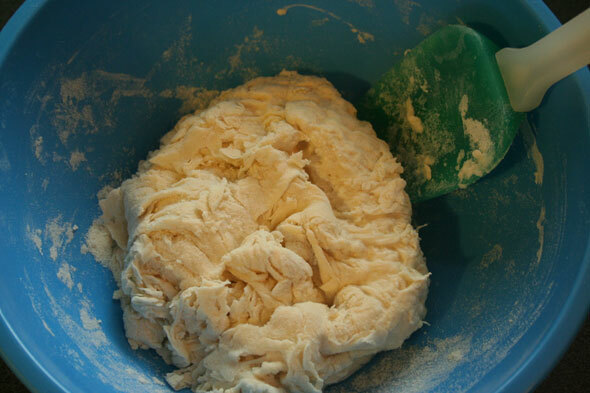 Return the dough to the bowl and cover. 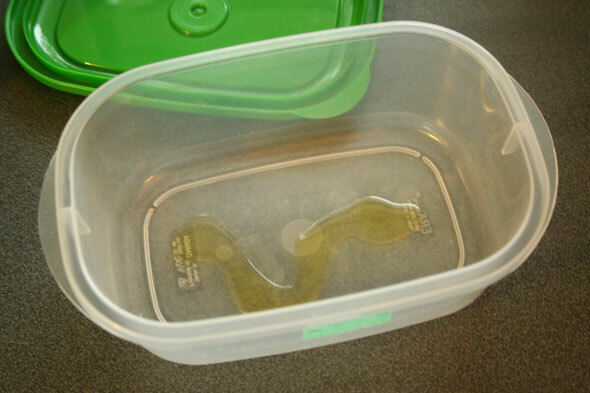 The Pâte Fermentée then goes into the refrigerator where it can stay 8 to 12 hours or up to three days. 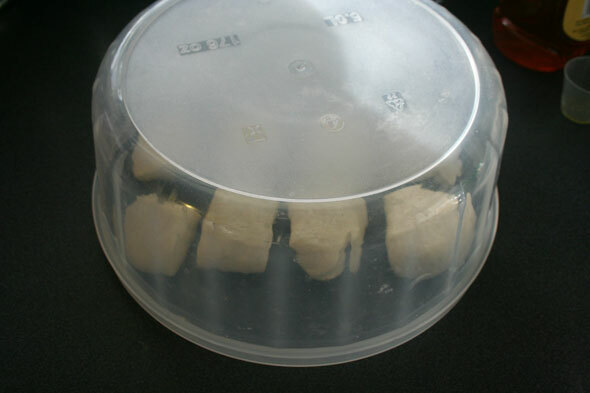 After its refrigerated rest, it is typically taken out the next day and allowed to warm up for an hour before completing whatever bread recipe you are making. 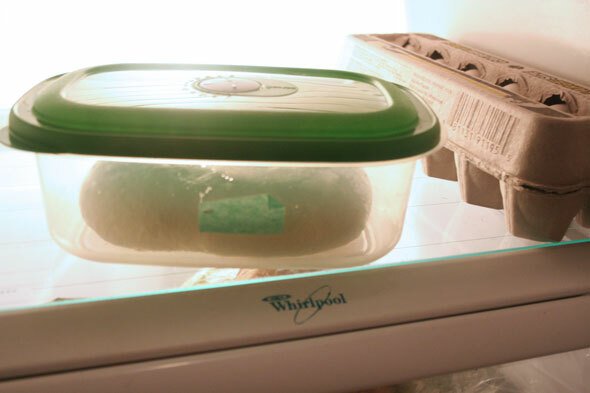 The dough can also be put in an airtight freezer bag and frozen for up to three months. 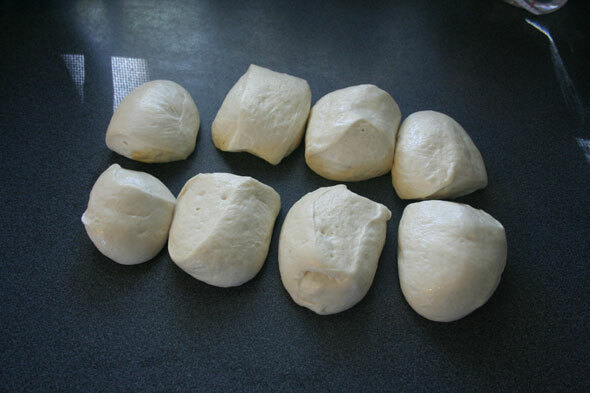 After it’s overnight rest in the fridge, the dough is (usually) chopped up into small pieces. 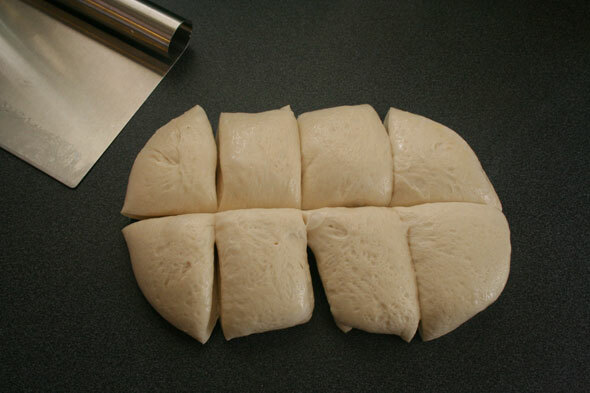 This simply makes incorporating into the rest of the dough easier as well as letting warm up a little faster than if it were in one large lump. Once chopped, the bits are left to warm up, covered, for about an hour at which point they’re ready to add to our bread dough. 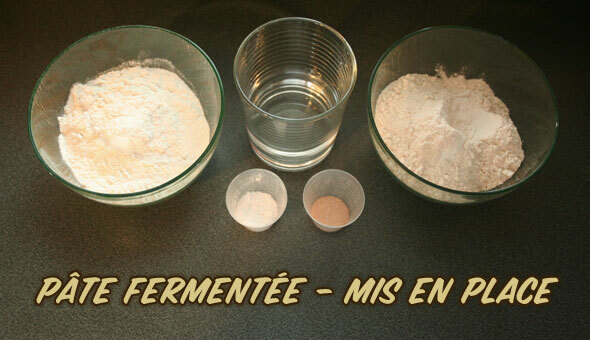 – this builds a rye Pâte Fermentée and uses sourdough instead of instant yeast but it is otherwise the same thing. It a great way, how you explain every step for the recipes. Thank you. In order to not change the ratios of the ingredients in the recipe you’re wanting to add your Pâte Fermentée, Biga or Poolish to, you would deduct this from what the recipe calls for as water and flour. Simply adding it on top of the normal recipe’s flour and water amounts could alter the total hydration of your dough in unexpected ways, as well as upset the salt and yeast (and other ingredients) quantities. 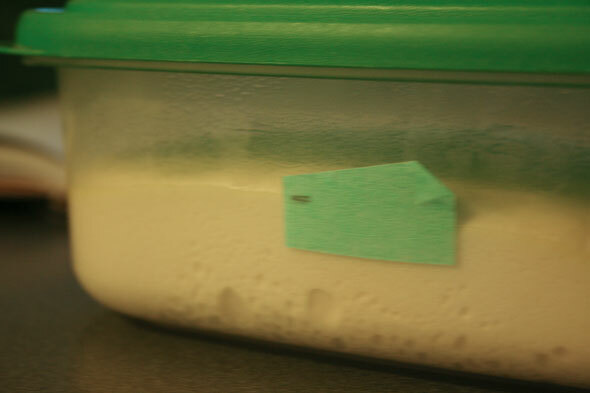 Also, since in the case of Poolish and Biga, you use only the tiniest amount of yeast, this won’t affect your final dough too much; keep to your recipe’s normal yeast amount. I heard that my great grandmother use to take a piece of dough from her batch and placed it in her flour bin for the next batch of bread. Have you ever heard of this and if so how would you use it in the recipe for the bread recipe. The method you describe is one of a few ways to make a preferment. 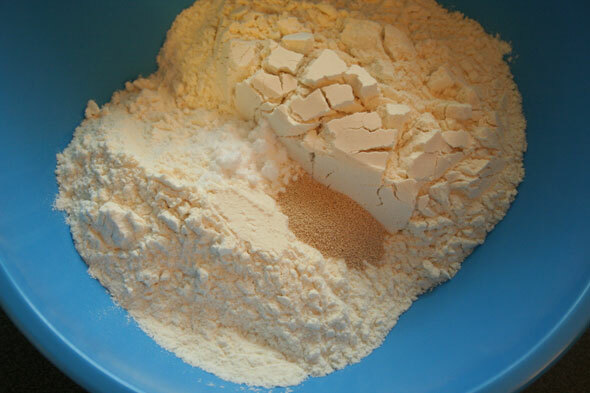 Although I am not aware personally of the specific method you detail – placing the old dough in the flour – for someone who bakes daily, this would be quite workable. But whether it is kept in the flour or just kept in the fridge, the purpose is basically the same: to impart flavours that are simply not developed enough in a fast, straight dough. As to using it in a bread recipe, you would do one of two things. If you are expecting to make bread regularly, you can keep adding the same amount of dough to your bread, then take it back out when you shape the loaves to re-use it the next day, letting it ferment overnight. If you want to do a one-off thing or don’t always make bread each day, you would be better served to create a poolish or biga the day before, using some of the flour and water (plus a tiny pinch of yeast) from the recipe to ferment overnight. 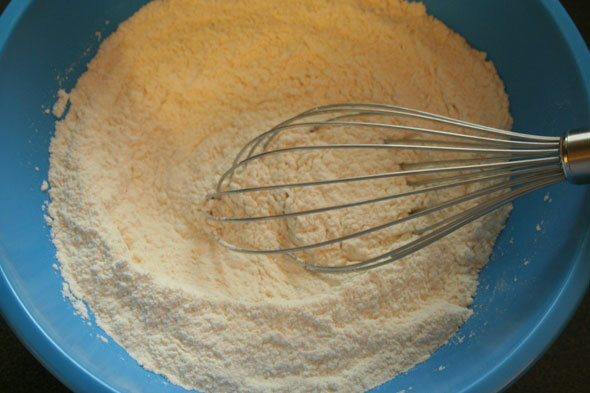 Then just add it to the dough when you’re mixing in the remaining flour, water and other ingredients. Thanks for your advice. I doubt that I will try it. It’s just interesting to me.